I want my Nanny: Friday FAQ - Is it Overtime or Over the Table? Q: If my nanny is babysitting for me, outside of her regular work hours, does that count as overtime on her paycheque or should I pay it out as a bonus/other income like tips for servers? A: If your nanny has worked 44 hours in the week already, any additional hour would be overtime and should be remunerated as such. As a result, the government remittances for that month would have to include the overtime revenues the nanny has made on top of her regular earnings. If the nanny has not worked 44 hours in the week, then it could be considered “regular” time and be paid the regular rate. Once again, these earnings should be included when calculating the tax, CPP and EI and remitted as such. Please note today’s FAQ content is offered as information only, and relates only to Canadian regulations. Please consult a professional for advice on your personal situation. Today’s FAQ was answered by a CGA. 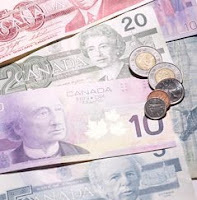 Contact me at shortysho[at]hotmail.com if you'd like to pursue payroll services and I can put you in touch. I know not one of my friends who pay legit for babysitting. It's all done under the table. Does the 14 year old down the street claim her babysitting $? Not likely. Most nanny's do it under the table unless it's a regularly scheduled overtime. Does this refer to Nannies ? It seems to me Nannies fall under domestic employees ?? !! Wow, Anonymous, hadn't seen that, thanks. I will ask the payroll expert...stay tuned for the Friday FAQ.